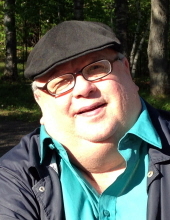 Fred Arthur Brede, age 65 of Osceola, died Wednesday, February 6, 2019, at Good Samaritan Society in St. Croix Falls. Fred was preceded in death by his parents, Roy and Dorothea Brede. He is survived by his loving wife of 41 years, Susan; three children, Michael (Kristine) Brede, Heather (Andrew) Zellman, and Matthew (Dana) Brede; five grandchildren, Savanna Brede, Isaac Zellman, Canyon Brede, Caleb Zellman, and Levi Zellman; brother, Thomas (Susan) Brede; two sisters, Jerre (Fred) Littlefield and Susan (Dean) Quarterley; sister-in-law, Carol (Thomas) Nelson; five nephews and three nieces. Fred was born August 24, 1953, in Amery to Roy and Dorothea (Wilcox) Brede. He was baptized on November 15, 1953, and confirmed in his faith on May 1, 1968. Fred was a 1972 graduate of Rice Lake High School, played trumpet with his father in a big band “The Dean’s List”, and was a 1976 graduate of the University of Wisconsin – Green Bay. Fred was united in marriage to Susan Kelling on October 1, 1977, in Rice Lake. He was employed as a business banker with Wells Fargo. Fred was an Eagle Scout in his youth, an active member of Shepherd of the Valley Lutheran Church, and a member of the PoCo Penners Writers Group. He enjoyed volunteering at Interstate Park and being outdoors camping, hiking, fishing, and hunting. Memorials are preferred to Shepherd of the Valley Lutheran Church. To send flowers or a remembrance gift to the family of Fred A. Brede, please visit our Tribute Store. "Email Address" would like to share the life celebration of Fred A. Brede. Click on the "link" to go to share a favorite memory or leave a condolence message for the family.